August was quite productive for us and our customers. 4 new templates were shared by Quote Roller community so we’ve got 4 new proposals added to the library of shared quote templates. Latest update brings the total number to 20. We added SEO proposal, HR | Manpower | Staffing proposal, Construction proposal, and Photography proposal templates. SEO proposal template is designed to serve internet marketing industry: small to mid size search optimization agencies, freelancers, web designers that provide SEO services. Download seo proposal template for free. Download construction proposal template for free. Download photo proposal template for free. 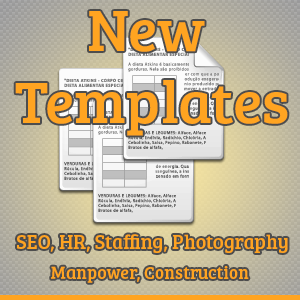 Download HR | manpower | staffing proposal template for free. What proposals would you like to see next? Please let us know in the comments!